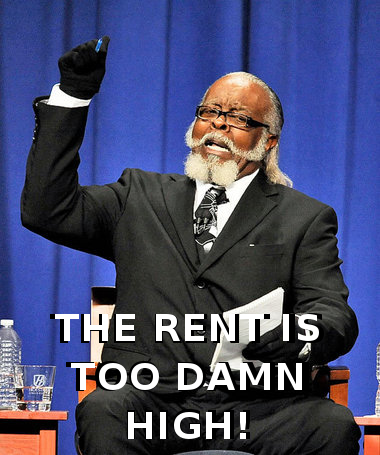 Even though the rent is too damn high (!) 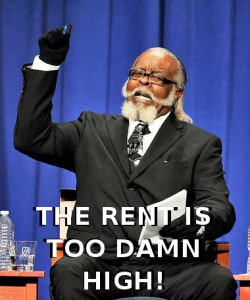 you have to find a way to ease into an affordable lease. When I just got back to the US I stayed with family in Boston and NH for a few months. Then I subletted a place and moved on to a lease, all of which were never more than 20% of my income. When your income is low (or non-existent) you have to create some rules for yourself and make responsible choices. It’s that simple. Tap your networks, be a guest, and allow yourself to owe friends and family. You’ll have plenty of chances to be generous to them later. Your home entertainment budget doesn’t have to be high to enjoy your down time. I got an LCD screen TV as a gift and piped in Aereo for 6 months. It was $8 a month and I also borrowed a Netflix account from a family member. I got Amazon prime free with a new credit card and that provides a lot of shows and movies to stream. Any big sports games can be a time for get-togethers at someone’s house or at a bar. You don’t have to spend $100 per month on a cable package at home. And with the money you save, spend some of it on the family and friends who were kind enough to let you stay with them rent-free for a while. Cell service also doesn’t need to be $80-100 per month. You could get a reasonably priced smart phone and a no-contract deal with TracFone or StraightTalk. By doing that I was able to get unlimited coverage (voice, text, data) for $41 per month when you pay for 3 or 6 months in advance. An even cheaper way to go is to buy a feature phone and limited minutes/texts per month for closer to $15 per month. It’s limited and not as fun, but at least you’ll have a number that you can be reached at during your job hunting. Food is not cheap in the city. One of the ways I was able to keep my food costs low was to visit supermarkets in NH. Since I was visiting family in NH almost every week anyway, I saved extra by shopping for everything there. It wasn’t just cheaper food but also lower prices on clothes, shoes, and other essentials. In fact, my cheaper cell service was due to it being purchased in NH too. Previous Previous post: My first trip to an American Clinic: So Un-American!